Are you looking for a speed reading course? Want to learn how to read faster, increase your comprehension and your retention of what you have read? Click here to take this online speed reading course for only $37. Why do a speed reading course? • Studying for an exam. • Research for a book or thesis. • Enhance your career prospects. • Find information you are looking for quicker. • Stop wasting time reading unimportant stuff. • Feel more confident as a reader. It is suggested that most people read between 150- 250 words per minute. That is less than a page per minute. The average comprehension is of what we read is only 50%. Then we tend to forget almost 90% of what you have read within 48 hours. What is worse, the older you get the less you remember. The reason is because we are only using the short term memory when we read normally. There are a number of reasons why we don’t normally read faster which include sub vocalize and regression to name a couple. During our school years we are taught to read, but around the age of 12 we don’t learn any new reading skills. During the speed reading training you will learn a number of new techniques to improve your reading speed. 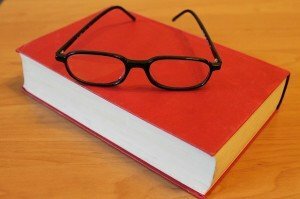 Combining information and techniques of many years of research, from many pioneers in reading techniques, we have a set of techniques to enhance your reading speed and comprehension quickly and easily. Then the more you practice, the better you will get. If you were able to read at 1000 words/ minute it would take around 1 hour 45 minutes. At 3000 words per minute you could read that same book in around 35 minutes. I think you would agree that is quite a big difference from the 7 hours it takes with traditional reading. Now imagine having 20 books to read for a research project or for studying. Saving 6 hours per book would equate to 120 hours or 5 days saved. So learning speed reading can save you time and allow you to get through more materials. Especially if you consider the amount of information we are bombarded with nowadays. • Improve your comprehension and retention of your reading. • Eliminate stress of reading. • Increase your quality and quantity of reading. • Study easier by reading and learning in a relaxed, positive state. • Stay on top of your required reading. • Learn to take useful, understandable notes of reading materials, meetings, and courses. • Stop going back to re-read something again because you don’t think you got it. Many people automatically regress and waste a lot of time. This speed reading training will assist you with your reading throughout your life. Giving you the skills to enhance your knowledge, improve your employability and much more. Enroll into the online speed reading course now for only $37. This training can also be delivered in house if you need too. Simply contact us to take advantage of this wonderful opportunity.